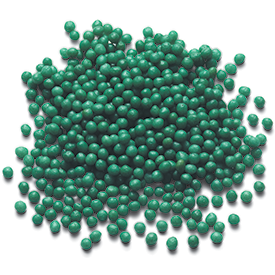 POLYON® controlled-release fertilizer, with its trademarked green color, is backed by years of research and has been the market leader in the turf and ornamental markets for decades. The key to its performance is the Reactive Layers Coating technology which meters out nutrients via diffusion, regulated by soil temperature and coating thickness, for precise and lasting nutrient delivery. With longevities from 8 weeks to 52 weeks, and micro, mini and regular SGN options, POLYON fertilizer has a product and formulation to match your needs.